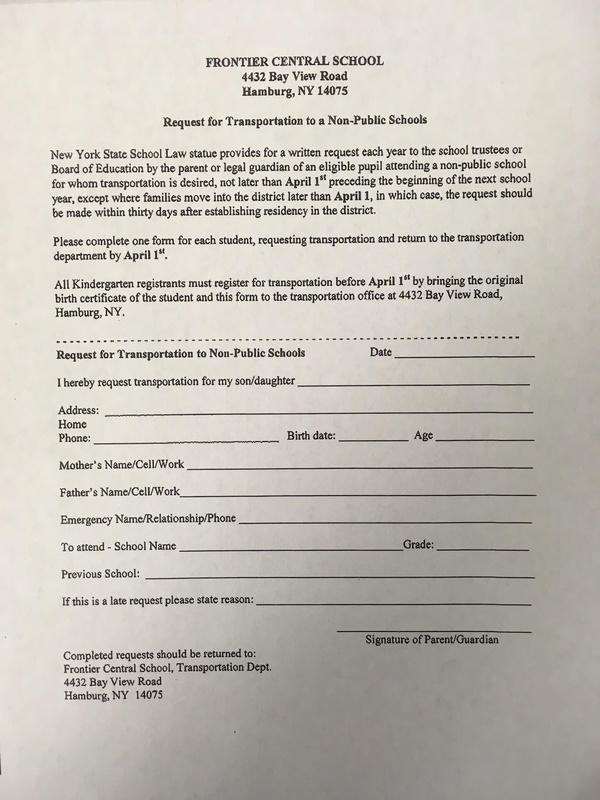 All transportation requests are due back to the school district that you reside in by April 1st. This is for the 2018-19 school year. 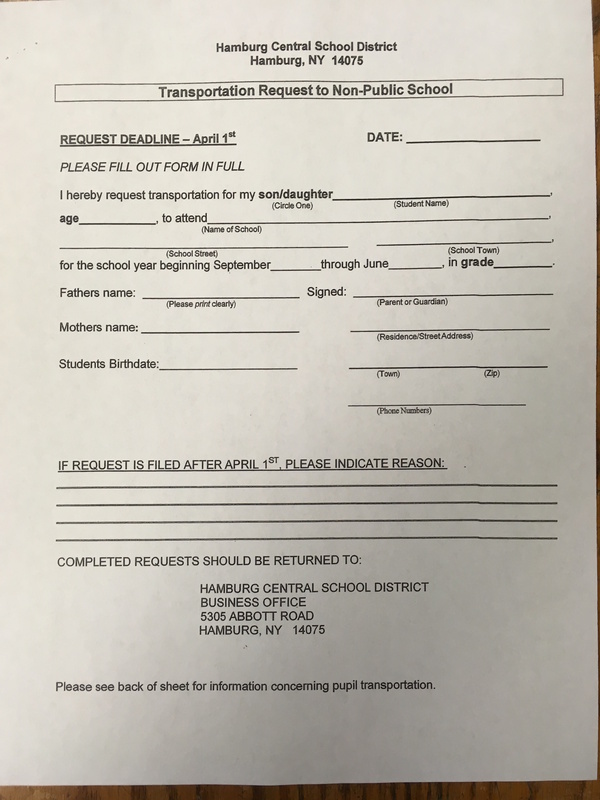 Please do not send it to Southtowns Catholic School. It has to be mailed to the school district that you reside in. 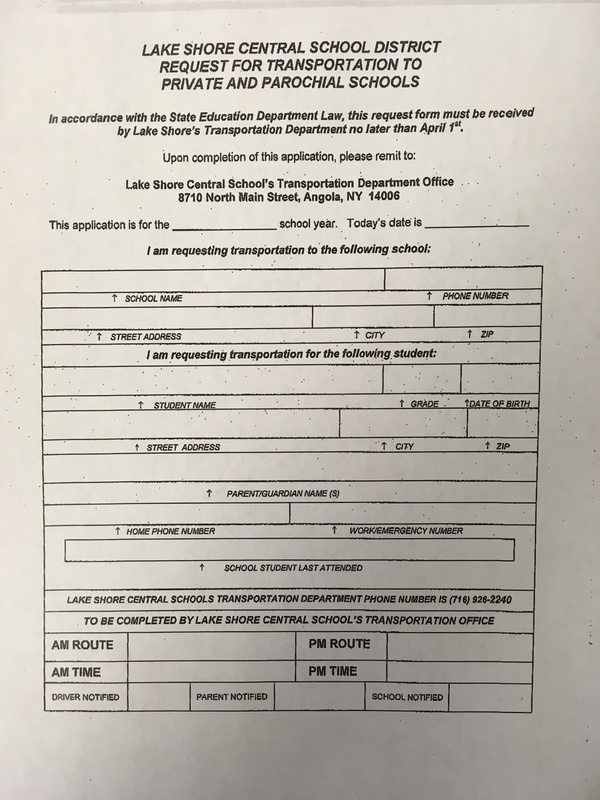 Frontier Central School, Transportation Dept.